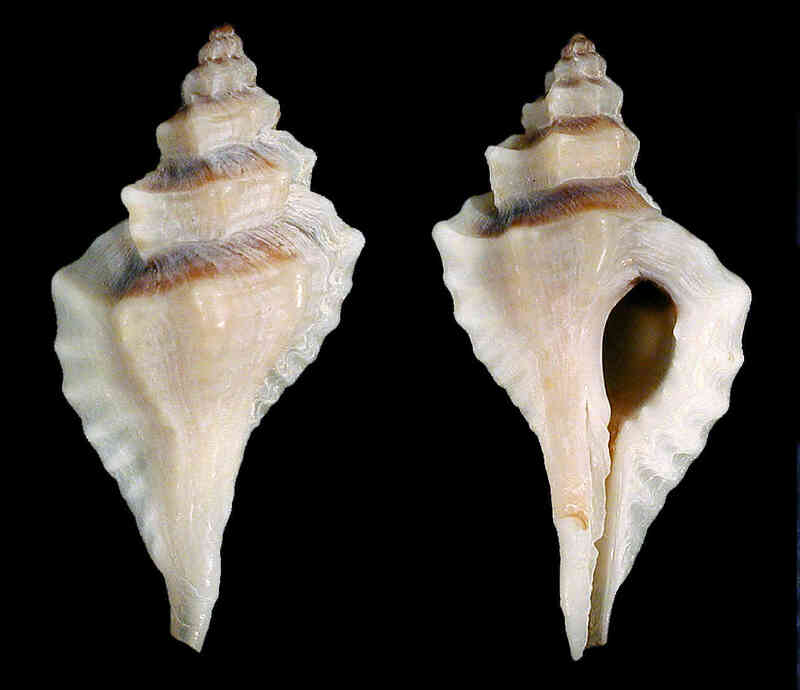 Shell size to 20 mm; shell has a “flattened” appearance, thanks to the blade-like varices (“ribs”) that occur alternately every 180° (every half-whorl). There may be two or three “bumps,” or nodes, present between last two varices. Color variable, often grayish-white to tan, sometimes with brown spiral bands. The shell is not uncommon on the barrier islands beaches, in particular after winter storms. Sharp-rib drills use their teeth, as part of their feeding habits, to etch tiny holes into the shells of other mollusks. 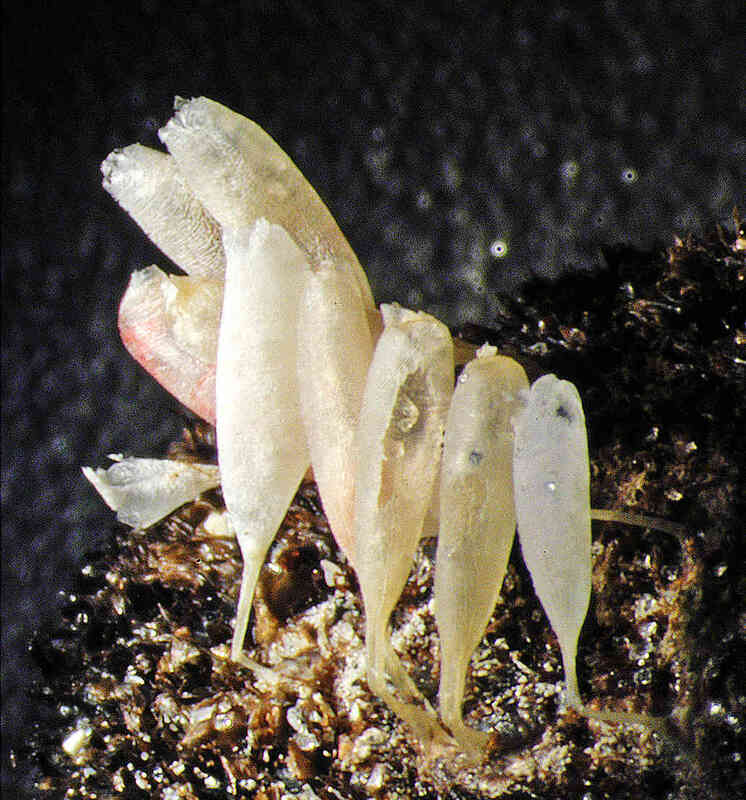 Their egg cases, about 5 mm (about 3/16 inch) tall, resemble miniature champagne goblets. The egg cases in the picture, laid on a ponderous ark shell, were collected by Shell Museum founding volunteer Barb Hansen on Algiers Beach (Gulf Side City Park), on Sanibel. Photos by José H. Leal.